For vacationers, scrolling through travel packages on Groupon Getaways feels like waltzing through a discount candy shop. The prices alone might make you want to start packing your bags. But they also raise the question: Is there a catch? To find out, NerdWallet talked to three travel bloggers who used Groupon Getaways travel packages to see the world. The takeaway: Groupon Getaways are generally worth the cost — but the trips come with some caveats. The travel packages offered by Groupon Getaways are typically run by third-party travel agencies and tour operators. Here’s why you might want to book one. The planned-out trips are helpful for first-time travelers. Before Shelby Williams traveled to Mexico on an all-inclusive Groupon Getaways tour, she had never flown on a plane or left the country. Having the whole trip planned out made it a less stressful introduction to international travel, says Williams, a college student in Freeland, Michigan. 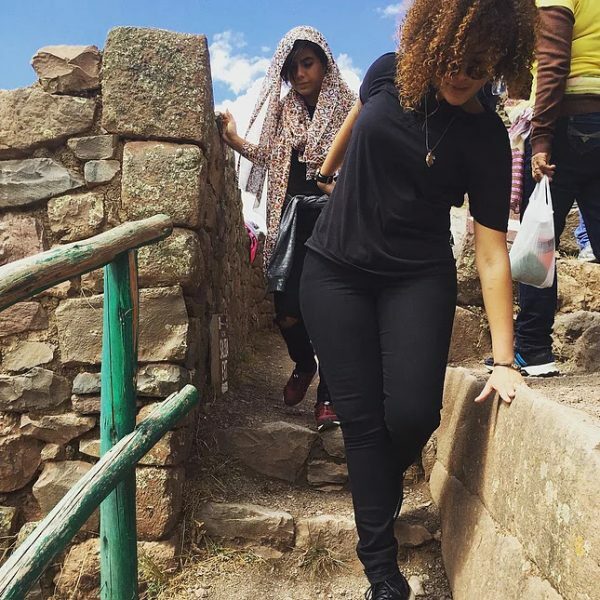 At $899 per person, the trip was also relatively affordable for Williams, her mom and her sister. “It’s a great way to travel abroad, if you’re scared and don’t know where to start,” says Williams, who wrote about her experience on her travel blog, Lost Comfort Zone. You can score great deals. Many of the packages on Groupon Getaways include airfare and top-notch accommodations for a relatively low price. Williams, who has now been on three Groupon Getaways, says her favorite trip was to Costa Rica with her mom. It cost about $1,200 per person, including airfare, a car rental and a hotel. The hotel they stayed at was luxurious, with a swim-up bar, hot springs and beautiful landscapes. 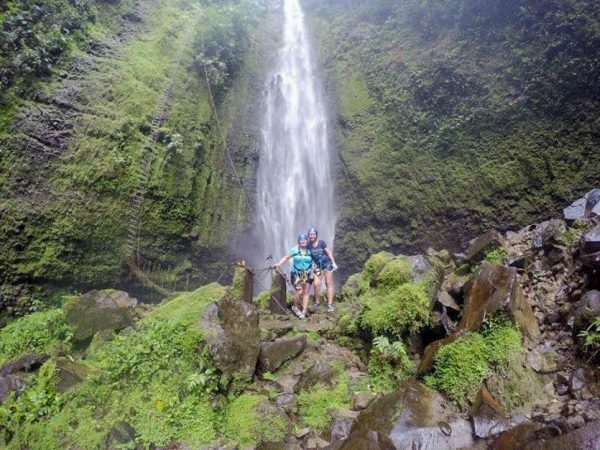 Although she and her mom had to pay additional fees for activities — including zip lining and rappelling down a waterfall — she found the overall experience to be a good value. The guided tours can be helpful. Some of the travel packages sold on Groupon come with guided tours or excursions (sometimes for an extra fee). For Maddy Osman, a travel blogger based in Denver, these guided tours were a huge plus — especially when she visited China. The tour guide in China also took the travelers to the city of Suzhou, where he was from. It wasn’t a place Osman would have thought to visit on her own, and she’s glad she was able to see it, she says. They’re good for celebrating special occasions. For Christian Portilla, visiting Machu Picchu in Peru was a life-changing trip. Her now-wife had booked the trip through Groupon Getaways as a surprise. When the couple hiked to the top of the Incan citadel, the view was breathtaking. “When you’re there, when you finally make it to the top and you feel the energy that the land has — it’s hard to describe, but it’s almost electric,” says Portilla, a freelance journalist based in Miami. That’s when Portilla’s girlfriend got on one knee and proposed to her. Here’s why a Groupon Getaway travel package might not be a good fit for you. Dates can be limited. “It’s hard to find the perfect [trip] when you’re on a time range,” says Williams, who books her trips to coincide with her school’s spring break. If you have an inflexible vacation schedule, you might have to compromise to find a good deal. When Williams wasn’t able to find a trip to Ireland that fit her schedule, she opted to go to Italy instead. In some cases, sales pitches are baked into the itinerary. Guided tours will take you to plenty of popular destinations — but you might have to endure some tedious bouts of souvenir-shopping. Travel agencies can make money, in part, by taking tourists on shopping expeditions. The accommodations can be subpar. While many of the hotels in Groupon Getaways are high-quality, some aren’t. The hotel Portilla stayed at in Cusco, Peru, had limited water. Because of that, the toilet in the room couldn’t be flushed unless a hotel worker was called in to flush it. “We weren’t able to take full showers or baths or anything like that,” Portilla says, adding that they had to rinse off by filling little cups with water from the sink. It would have been nice to know about the situation in advance so they could have prepared, she says. Williams says that many of her hotel stays through Groupon Getaways were excellent, but not all. “The one in Rome was kind of bad. Our neighbor was puking all night, and we could hear that. The walls were paper-thin,” Williams says. If you’re unhappy with your accommodations, you can call the Groupon Getaways customer service line to file a property complaint. “Property complaints do happen. They’re not among our top complaints, but they do happen. If they call us, we’ll call the hotel and sort of work out the details,” says Chris Stevens, vice president of Groupon Getaways. In cases where Groupon has done something egregiously wrong, he adds, the company may issue a refund. Going on a Groupon Getaways vacation essentially means going on a trip someone else planned for you. It can be a lot of fun — but if you don’t fully understand the itinerary, some details might surprise you. Here’s what you should know. Check these details before you book to make sure you know what you’re getting into. Osman recommends reading the reviews of travel agencies and hotels before booking, too. Master the details. When Portilla and her partner went to Peru, neither of them had read through the full details of the trip. Because they didn’t have cell service in Peru, they weren’t able to check email for details on their phones. Renting a car? Do your research. If your travel package includes a car rental, it helps to know what driving conditions are like in the country you’re visiting. Don’t forget to bring maps or a GPS, Williams says. When she and her mom went to Costa Rica, a car rental was included in their trip. But their GPS didn’t work because they hadn’t downloaded the maps beforehand, and they were surprised to find that the roads didn’t have signs. Without a properly functioning GPS, driving to their hotel at night felt like an impossible task. Next time, Williams says, they’ll come prepared.